You are here: Home / Blogs / 7 Singapore Corporate Tax Myths Busted! 7 Singapore Corporate Tax Myths Busted! Nothing can be more damaging than listening to an armchair financial expert, especially with regards to taxation. Despite Singapore’s relatively uncomplicated tax laws, there are a few myths about corporate taxation that are not useful for businesses. Is it true that capital gains are taxable? What about filing unaudited accounts? These are just a couple of the points about Singapore’s corporate tax laws that this article will debunk. Just because capital gains are taxable in pretty much every other country does not mean the same is true for Singapore. In fact, Singapore does not tax companies on their capital gains. This includes any gains that are a result of sale of fixed assets or foreign exchange gains that involve capital transactions. According to the Inland Revenue Authority of Singapore (IRAS), there are many instances in which income can count towards capital gains (provided the company has the right documentation in place) and can be exempted from this tax. Singapore has a single-tier corporate tax system and the current tax rate stands at 17%. This rate makes Singapore an enticing destination for business. However, some people assume that because Singapore has such a low corporate tax rate, that getting tax exemptions is not a possibility. There are three types of tax exemptions available for businesses in Singapore – full tax exemption for newly-incorporated companies, partial tax exemptions for other newly-formed companies, and exemptions on foreign-sourced income. Whether people plan to start a new business in a different country or are looking to expand their company’s reach, double taxation is always a frightful prospect. However, in Singapore, starting a business does not have to mean paying taxes twice over. Singapore has 74 comprehensive and 8 limited Avoidance of Double Tax Agreements (DTA) in place. The Ministry of Finance negotiates DTAs with the goal of inviting new and existing businesses to set up shop in Singapore, without the threat of double taxation. 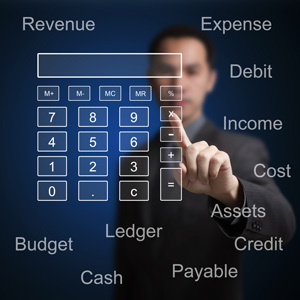 Many entrepreneurs assume that all accounts have to be audited before being filed. However, that is not necessarily true for all businesses. 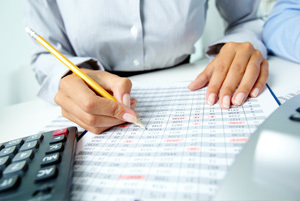 In certain situations, accounts can be filed without being audited. The Accounting and Corporate Regulatory Authority (ACRA) of Singapore has a list that explains the various situations in which a company can file unaudited accounts. For example, a dormant Exempt Private Company (EPC) does not have to file audited accounts, irrespective of whether it is solvent or insolvent. In case you do not agree with certain points in the Notice of Assessment, it is possible to contest the official assessment conducted by the tax authorities. Contesting the Notice of Assessment is quite simple: file a Notice of Objection using one of the three methods available. The Notice of Objection can be filed by completing an online form, writing an email to the concerned authorities or through the tax authority’s e-Service portal. It is very important to submit the letter of objection within the specified time (normally 30 days from the date of NOA). Whether the Notice of Assessment is dated before or after the 1st of January, you do not have to jump through hoops to request a review. 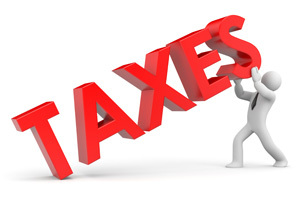 Corporate taxes are always assessed and paid on a preceding year basis. In other words, tax bills are received and payable by resident companies only after the financial year end. The first tax bill will be based on an Estimated Chargeable Income (ECI) declaration submitted with IRAS within 3 months from the financial year end. The final tax bill (with due credit for any Estimated taxes paid earlier as per ECI) will be issued by IRAS after the annual corporate tax returns is submitted by the company. One of the factors that make Singapore appealing to companies is the amount of financially flexibility offered. Think your company has to pay all the tax in one go? Think again. In Singapore, you can pay your corporate tax in installments. By simply filling up an application form, companies can sign up for GIRO and still retain the option of paying the entire tax at one time. Although corporate tax laws in Singapore aren’t that complicated, you can still incur penalties for the smallest mistakes. It is therefore a good idea to consult a firm that deals with corporate taxation in order to clear up any doubts about tax laws and regulations. For more information on corporate taxes, read our Singapore corporate tax guide. Need help with your corporate tax? We can help you. 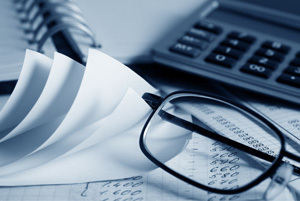 For a detailed assessment of your business and the tax exemptions that you can apply for, we can certainly advise you. For a face-to-face consultation with one of our tax specialists, call us at +65 6320 1888.